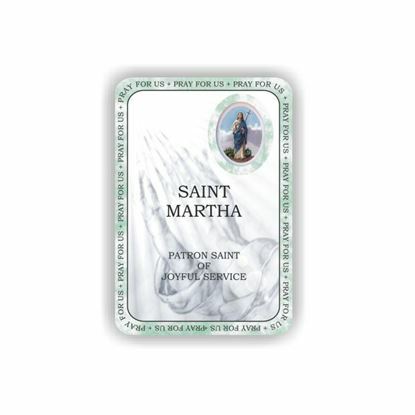 Martha of Bethany is a biblical figure described in the Gospels of Luke and John. Together with her siblings Lazarus and Mary of Bethany, she is described as living in the village of Bethany near Jerusalem. She is the patron saint of butlers; cooks; dietitians; domestic servants; homemakers; hotel-keepers; housemaids; housewives; innkeepers; laundry workers; maids; manservants; servants; servers; single laywomen; and travellers.